Britney - OH my GOSH! I love this family! GOD has always richly blessed you and this bundle of joy makes your lives so much richer. I love the beauty captured in life’s moments. Khara Tait - These are fantastic! 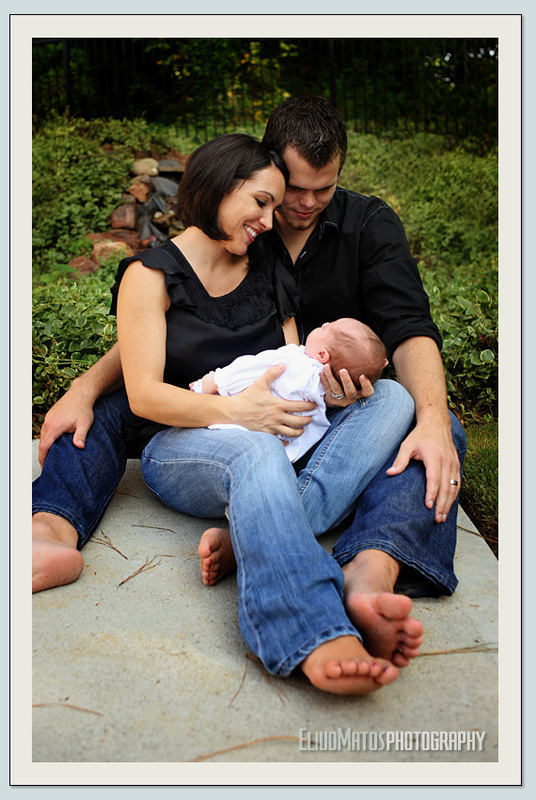 What great shots of my beautiful sister, bro in-law & Baby Liv!! Baby Olivianna is so precious! Great Job Eliud!!! Holly Atkins - You did a great job on these baby shots! How could you go wrong with such a precious little subject?! I especially love the one of her little feet! Great job! Pat Smith - Beautiful photos!! What a lovely family!!!! Oliviana is a princess!!! Aunt Cathy - Oliviana is such a beauty—just like her mommy and daddy!!! Great photos to be treasured for a lifetime, God Bless you all. Mary (Custodio) Harrow - Some of the most amazingly beautiful photos! Oh my goodness!…the one of her on the pillow is adorable and the one of feet in her daddy’s hands is priceless…so is the one with her mommy in front of the window and the close up of her face! Great photography and great subjects! God Bless all of you!! Mom & Dad - Oh, Eluid – you’ve done it again! But of course, just look at what you had to work with! Such beauty! I love how you have captured our first grandchild, the sweet miracle from God. Oh, yes that is one of my favs, Love, God… I know it took some time to get the smile, but I see patience paid off and you got it! Thank you for everything – I like how you used B & W, props and thought-provoking images to show off our lil Liv- that nickname may stick!! Love, Abuela & Abuelo! Gracias! God Bless you!